Netflix premiered 8 episodes of A Series of Unfortunate Events on Friday the 13th, 2017. 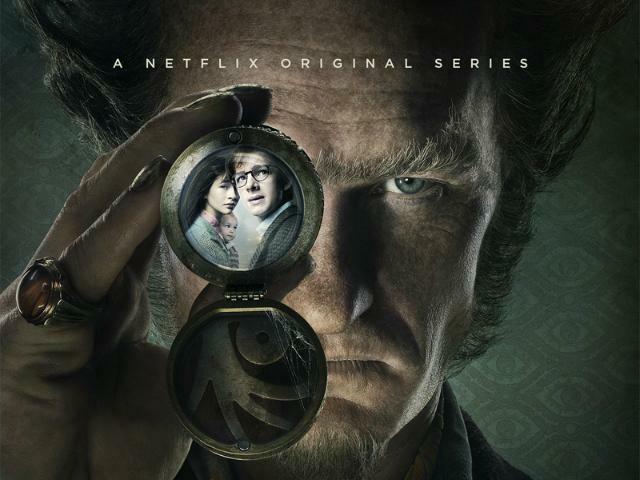 The series marks the second screen adaptation of the Lemony Snicket novels, known for improving the vocabularies of children everywhere. 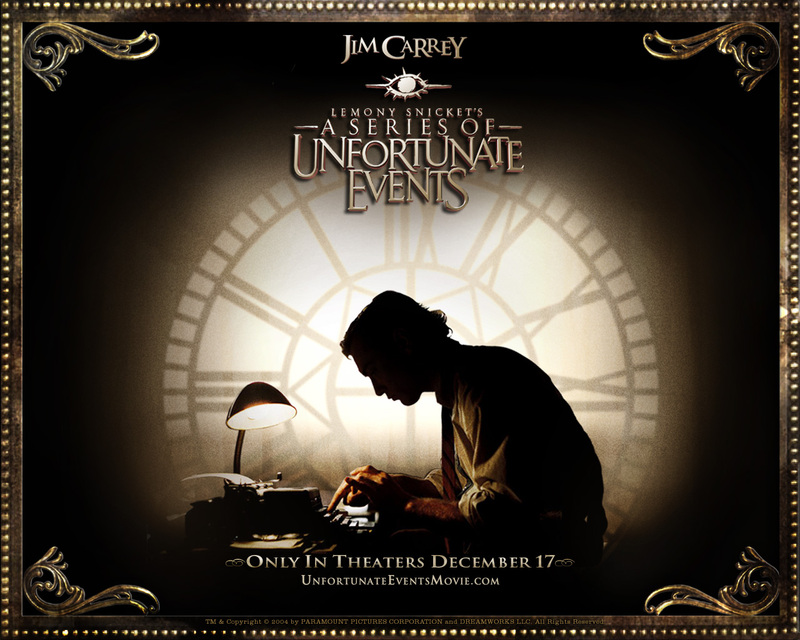 The story tells of evil Count Olaf’s quest to seize the Baudelaire Orphans’ fortune. Who did it better? Author Daniel Handler (aka Lemony Snicket) writes and executive produces. Neil Patrick Harris stars, produces and sings the theme song. Theoretically, this is the Series Handler wanted to make. Both men have heavy hands in the series. NPH’s musical theater background influences his performance and the series’ aesthetic. The show looks like a play, with sets ersatz as the elevator in book six. Actors deliver lines clearly and concisely. Unfussy photography highlights succinct sets. The stagey approach feels whimsical, sophisticated and parable- esque. I’m not sure how much Tony- winner Neil Patrick Harris had to do with this, but it works. Harris’ performance of Count Olaf works less well. The movie, series and book share many lines. There are times when you can tell NPH doesn’t want to rip off Jim Carrey’s delivery, but he knows Carrey did it first and did it best. NPH’s Olaf is violent and aloof, half- assing his disguises on purpose. Jim Carrey’s Olaf brought suspense and comic relief. The book’s Olaf is straight up evil. I think Neil Patrick Harris plays a more faithful villain, but a much less fun one. 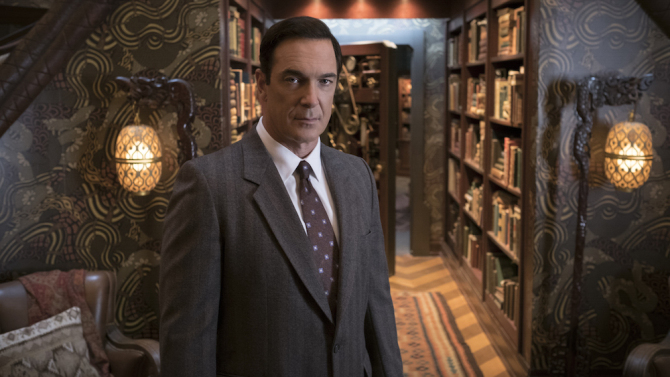 Well- spoken and well fed Patrick Warburton plays Lemony Snicket. Warburton has a phenomenal speaking voice, but he looks a far cry from tortured investigator Lemony. His Rod Serling Snicket takes us out of Unfortunate Events and into The Twilight Zone. The homage doesn’t work. While you always felt Sterling knew something you didn’t, the verbose Snicket seems to know just as much as the audience: nothing. The rest of the characters are delightfully cast, particularly Joan Cusack’s Justice Strauss and Alfre Woodard’s Aunt Josephine. Malina Weissman (Violet) looks exactly like Emily Browning. Crazy! Constant narration and self- indulgent writing slow the series down. Arcs take two episodes where they only need one. Handler gets the luxury of including as many of the books’ details as he wants. Fans of the book might love this. Fans of TV might not. I enjoyed the parents’ misadventures and the emerging VFD mystery. I did not enjoy the constant asides and superfluous flashbacks. Netflix adapted a children’s book into an adult show. 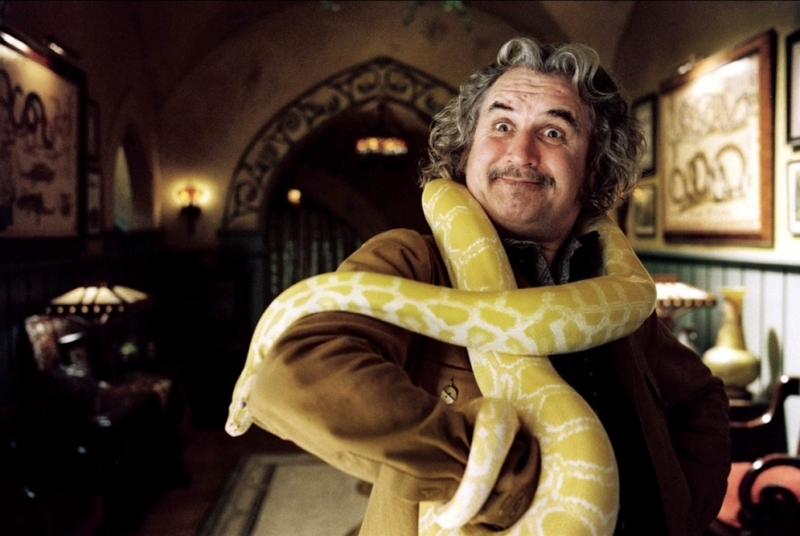 Its A Series of Unfortunate Events is too boring for all but the most precocious children. The jokes are too high- unibrow. It has the pacing of Downtown Abbey. More like the book? Perhaps. More entertaining? Definitely not. Nickelodeon capitalized on Harry Potter Mania with this big- budget vehicle that included some of the biggest names on Hollywood’s A-List: Meryl Streep, Dustin Hoffman, Jude Law, and Jim Carrey. Kids loved it. Critics hated it. I’m not gonna lie. While watching the Netflix series, I wished I were watching this movie. One hour and 40 minutes mashed up The Bad Beginning, the Reptile Room and the Wide Window into one story. Screenwriter Robert Gordon distilled each book to 2 or 3 plot points, but it worked. The end of The Bad Beginning where Olaf tries marrying Violet became the story’s climax. Jude Law’s elusive Snicket made the story seem like a dangerous secret. The movie had fast pacing, hilarious comic performances and sharp direction from Brad Siberling. The melancholy, gorgeous child actors perfectly foiled the adults’ deformed caricatures. The movie maintained the book’s theme that adults don’t take children seriously, even when they are pretty ridiculous themselves. Unfortunately, those charming children aged out, and Nickelodeon made no more movies. Fortunately, they wrapped the movie up with a hopeful little ending, so you can’t feel too bitter. The film had prodigious production value. It embraced the surreal Victorian aesthetic popular circa 2004- 2006, aka When Tim Burton Was Still Cool. It won the Oscar for Best Makeup and received nominations for costume design, art direction and score. The Netflix series borrows much of the film’s production design, specifically for the Reptile Room. But alas, major studios have a Baudelaire fortune to spend on kids’ movies. Netflix makes good with what they have: a plethora of talent and Violet Baudelaire-like ingenuity. Although I did NOT appreciate the plug in episode 3, Netflix. Ultimately, Nickelodeon made a kids’ movie adults could enjoy. Netflix made an adult series kids might enjoy. And that, I feel, disservices kids. The Verdict: For unparalleled Unfortunate Events, nothing beats the book. I wholeheartedly agreed with you. While I enjoy the show I couldn’t, help but think how it would have been better with the film’s actors, particularly Meryl Streep, Jude Law and Jim Carry. However I must disagree about Joan Cusack. Her and Alfre Woodard brought the biggest cringes while watching. Me and my wife watched the Netflix series separate on our own time. My wife didn’t remember the film version and enjoyed the series a lot more than I did (it probably helped that she didn’t hear me complain about the actors constantly). We sat our 6 year old down to see if he would enjoy it… he didn’t. He got bored easily by the slow pace and adult tone. The next day we were having our family movie night and couldn’t decide what to watch. With the series fresh in our minds we put on the film to compare. My son seemed to really enjoy the film, sitting undisturbed through the whole thing. Even my wife said that it was superior and that Jim Carry was a far better Olaf, which was hard for her to admit because she doesn’t like Carry and LOVES Neil Patrick Harris. These are the best comments to get! Thoughtful, specific, and not entirely contrary ;). Noted about Joan and Alfre. They made me cringe too… but in kind of a good way! Either way, I’m glad your son got to experience the story. It’s a good one. I disagree, Joan Cusack and Alfre Woodard were excellent in portraying the characters described in the books, if they were cringey in any way it was purposely done as part of their characters.